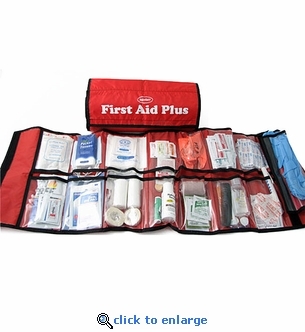 This 105-piece first aid kit, packaged in a roll-out sleeve is perfect for home, office, work site, camping and travel. This comprehensive kit combines essential first aid supplies with personal hygiene and outdoor protection products. Cool Blaze 4" x 4"